Here’s your chance to secure VIP membership with world’s leading collective of female makers, shakers and bakers in the food and drink industry from around the world. Whether you’ve been in business for years, or still working on making your dream a reality, it is our mission to help you build an amazingly successful food & drink business. 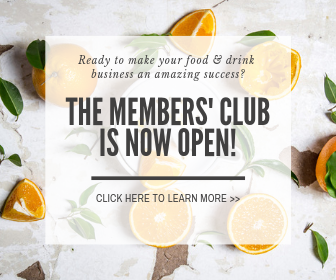 WHY JOIN THE MEMBERS’ CLUB? Be a part of a safe and welcoming member community where no question is too small, ideas are celebrated and collaborations are nurtured. Access industry experts from around the world via our monthly masterclasses to save you time and money. The latest information to build your food & drink business. Topics such as food label regulations, food & drink safety & quality, marketing, cash flow management, distribution, packaging design, nutrition panel information and pricing strategy. Join our Action Buddy program to help you stay accountable to your goals. 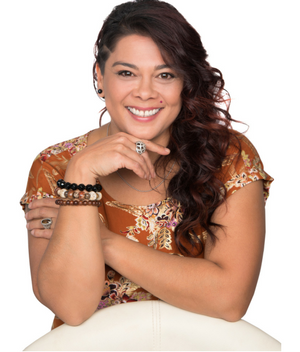 Get direct access to Chelsea Ford, Founder Females in Food, award-winning entrepreneur and business coach. Get instant access to our online library of content and trainings via our members’ only Resources Hub. 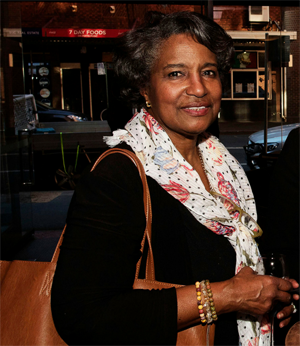 The Members’ Club is suitable for all women in food & drink regardless of where you live. We are an engaged online community. WHO ARE FEMALES IN FOOD VIP’S? 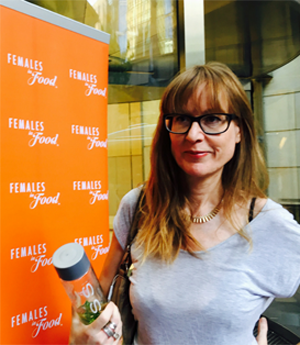 It takes a certain kind of woman to be a Females in Food VIP… so who is she? She’s got great culinary delights and dreams of making a business out of them. She knows that the best way to get ahead is to surround herself with like-minded experienced women who understand her passion and wants to see her succeed. She wants to forge her own path but learn from those who’ve been there done that and rub shoulders with the greats who’ve already ‘made it’. 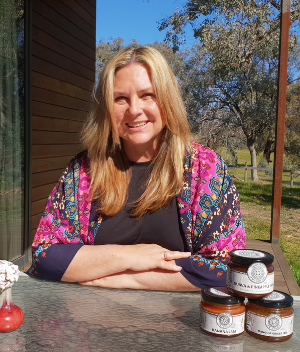 She’s already running a business connected to food and drink but is feeling isolated and wants to know HOW to take it to the next level. She wants access to experts with the latest information, connections and next-level advice. Masterclasses – A focused topic each month with an expert that includes a short video tutorial, a downloadable workbook or checklist and a live Q&A with the expert where you can ask them anything at all. It’s like your own one-on-one coach for your business! Think topics such as: distribution, food & drink labelling, packaging design and knowing your numbers – all specific to building a food and drinks business. Resources Hub – This is our library of go-to information, masterclasses, tutorials, webinars, checklists, workbooks, inspirational interviews and roadmaps that will help you accelerate your business. It is a one-stop shop like no other anywhere in the world. ‘Make It Happen’ mastermind groups – You can’t help but think bigger and stretch beyond your boundaries when surrounded by amazing people doing amazing things. So we give you the opportunity every month for peer-to-peer support in our online mastermind groups facilitated by Chelsea. Members’ only Facebook group – This is a powerful group where you can talk to experts, ask them questions, learn from others and join meet ups to build up your network. If you want to fast-track your business growth, then this will do it. This is also the place where Chelsea Ford, Founder of Females in Food answers members’ questions. #AskChelsea – Fortnightly live video sessions with Chelsea where she answers your specific questions. Sessions are recorded so if you can’t make it, you can come back later. 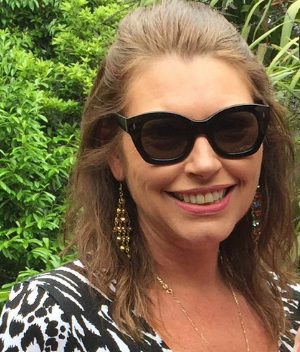 Chelsea has 30+ years industry experience, is an award-winning business growth specialist specialising in women-led small businesses and has a black book like no other, so these sessions are a money can’t buy opportunity. (hint: coaching with Chelsea is more than 10x the monthly membership investment). Get an Action Buddy – Ever feel like you need a gentle guiding hand or a nudge to meet your goals? At Females in Food we’re focused on supporting you and so we enable your success with our monthly Action Buddy program. If you are looking for extra support, just say the word and we match you with a fellow VIP member. Member Challenges – We help you stay accountable to your goals and see amazing transformational results in your business. Challenges will help you be accountable to your dreams, have breakthroughs and uplevel your business. Free Webinars – Access the latest information from subject experts to grow your business, your knowledge or your profile. Watch these live or in your own time. Webinar recordings and related resources are saved in our members only Resources Hub. Member Profile Directory – Be visible via our member directory and connect with other members who are serious about building their business too. Keep Informed – Keep your finger on the pulse with everything going on at Females in Food, the industry and exciting updates via our blogs and monthly member only round-up newsletter that highlights everything members have talked about throughout the month making it a very helpful and an easy go-to reference tool. Make meaningful connections with like-minded women who know what challenges you face day-to-day and can offer support to overcome them and help you feel confident and less alone. Easily access resources to help you leverage opportunities to excel your understanding of difficult decisions such as nutrition panel information and labelling. Be inspired by people you’ll meet who will share stories about their business success and near misses. 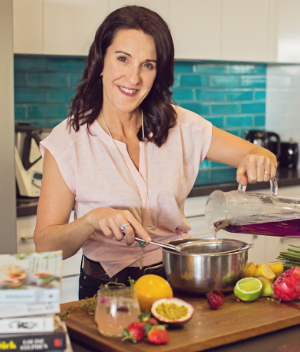 Females in Food Members’ Club has the power to profoundly change your life. That’s not hype – that’s based on active members’ feedback. We’re confident that if you make the most of all that’s on offer; watch our masterclasses; download our workbooks; complete our challenges; introduce yourself in the members’ only Facebook group and tell us what you are looking for so we can help you, you’ll get results. If within the first 30 days you don’t think the Members’ Club is for you, then email us here with cancel membership in the subject line and we’ll refund your money! No questions asked. And beyond that time, cancelling is easy. We have no lock in contract. Membership is month by month. We’re dedicated to unleashing the power of entrepreneurship and we believe you can get the results you want and follow your heart.